Community health assessment (CHA) and community health improvement plan (CHIP) are part of an ongoing broader community health improvement process which provides a frame work to improve the health of the communities. The Worcester County CHA and CHIP are developed by Worcester County Health Department with the assistance and advice of the Worcester County Health Planning Advisory Council /Local Health Improvement Coalition (LHIC). 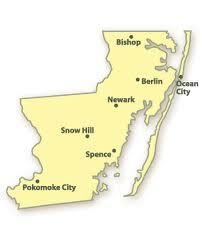 The Worcester County LHIC is part of the Maryland State Health Improvement Process (SHIP). Input is also sought from sister health and human services partners, the business community and residents through special meetings, other boards, (usually disease/condition-focused) councils and task forces. For listing of members of the Worcester County Health Planning Advisory Council & Local Health Improvement Coalition (LHIC), please click: Member Listing. Membership is open to public. For more community health data, check out Worcester County Network of Care - Healthy Communities or see the list of local documents below.